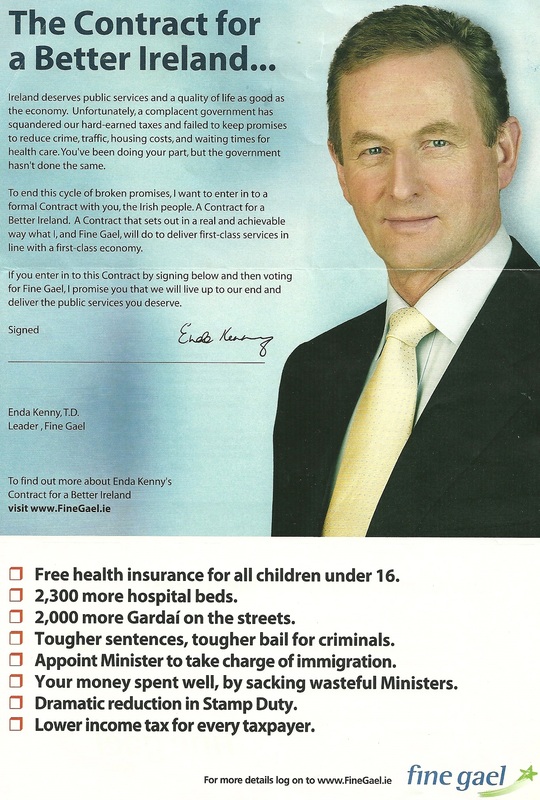 From the 2007 General Election , a leaflet from Fine Gael outlining “The Contract for a Better Ireland…..” . Before 2011’s ‘The 5 point Plan’ was Enda Kennys contract with the Irish people. This contract was the inside of the generic Fine Gel leaflet from that election.